KICKERS Shoes, Bags, Accessories - KICKERS - Free delivery with Spartoo UK ! The Kickers shoe brand first began in 1970. That’s when this little shoe, which was solid, practical and comfortable, first appeared. Simplicity and natural materials, like rubber, have been used over decades and that’s what makes it still a popular shoe today. The brand knew how to reinvent themselves with their flagship shoe: Kick Col. With Spartoo, it’s so easy to find the pair of Kickers that meets your needs. 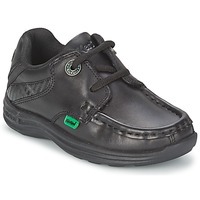 Our website has different styles of Kickers for men, women and children and even for babies! Kickers are the must have ankle boots with their casual but super trendy style. With so many models available online, you have a huge selection to choose from. Can’t decide? The most popular shoes from the brand are the Kickers Kick Col, Legend and Bonbon, and they will look great no matter what your style! Which pair of Kickers will you choose ? 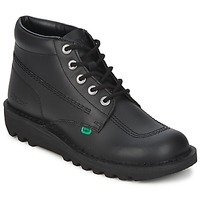 The fasion site Spartoo has a wide selection of Kickers shoes. 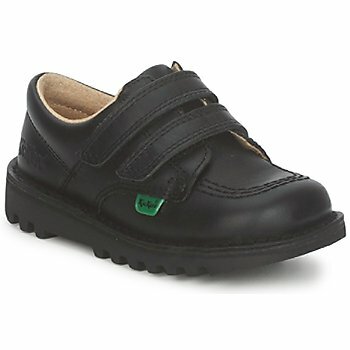 In addition to offering shoes for men and women, the brand also makes children’s shoes in all sizes. That way, young and old alike can all have amazing shoes on their feet! Whether you are a fan of more traditional shoes or something unique, everyone can find something they love in any season. All year round whether in winter or summer, men can get derbies, smart shoes, high tops, sandals or boots while women can choose between trainers, flat shoes, sandals, flip flops, derbies, boots and ankle boots . 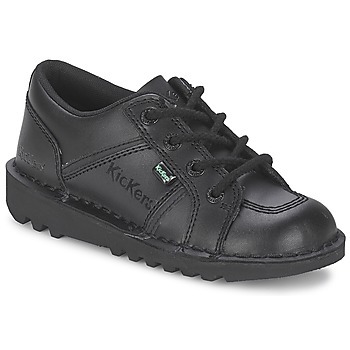 The Kickers children’s collection also has a large selection of shoes for the little ones and even for babies with little trainers, sandals and booties in many colours, with laces or velcro, and lots of fun designs. Pro tip: visit our site during the sales or private sales to get the top Kickers models at a discount price!